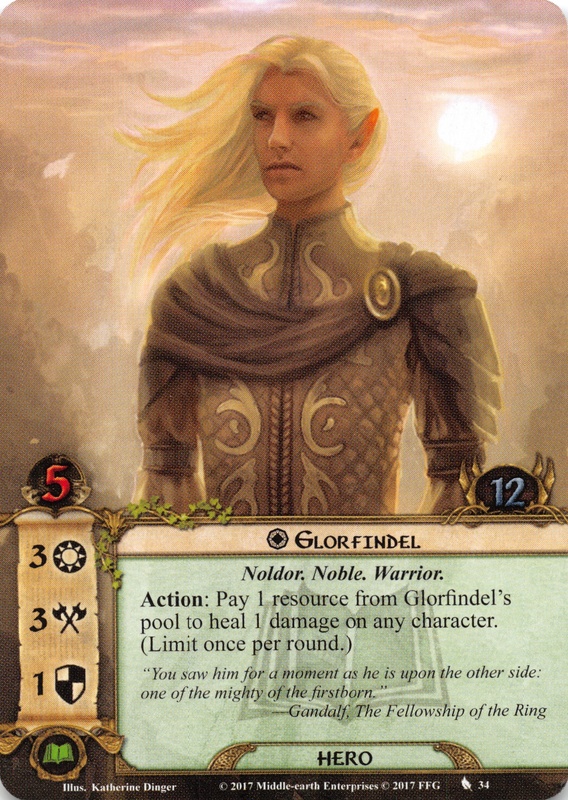 Glorfindel (S 'golden haired', pron. 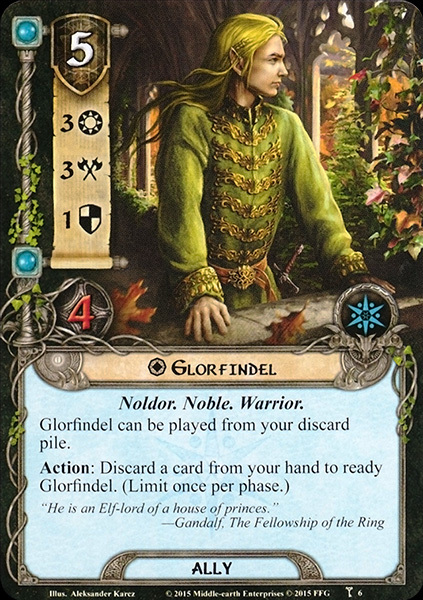 [ɡlorˈfindel]) was one of the mightiest Elves of Middle-earth in the Third Age. He was distinctive because of his return to Middle-earth after death, acting as an emissary of the Valar, on a similar mission to the Istari who were to come several thousand years later. After the Exile of the Noldor Glorfindel’s history is obscure. As a great follower of Turgon he was appointed chief of the House of the Golden Flower, one of the Twelve Houses of Gondolin. He was dearly loved by all the Gondolindrim, and went about in a mantle embroidered in threads of gold, diapered with celandine 'as a field in spring'. His vambraces were damascened with 'cunning gold'. 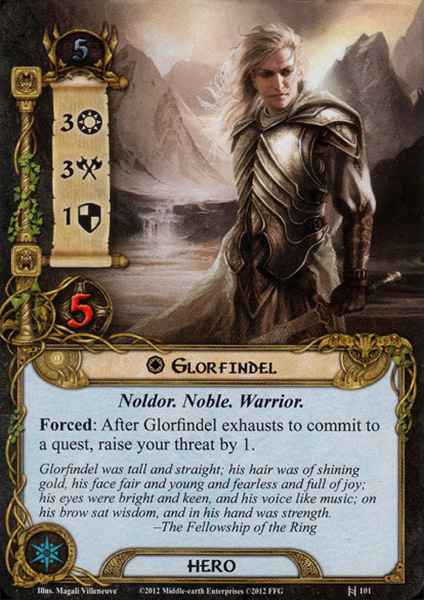 Glorfindel was an elf of great beauty, power, wisdom, and moral courage. He was clearly loved by the people of Gondolin, who mourned his passing greatly. He acted most courageously during the Fall, his House being among those that suffered the greatest losses, and eventually giving his own life for the safety of Tuor and Idril, accomplishing the designs of the Valar, though it was said that he 'would have defended them even had they been fugitives of any rank'. He was repentant of the rebellion of the Noldor, and took no part in the Kinslaying. His acts in the Third Age also show great presence and authority, as does the very fact that he was sent as an emissary of the Valar. 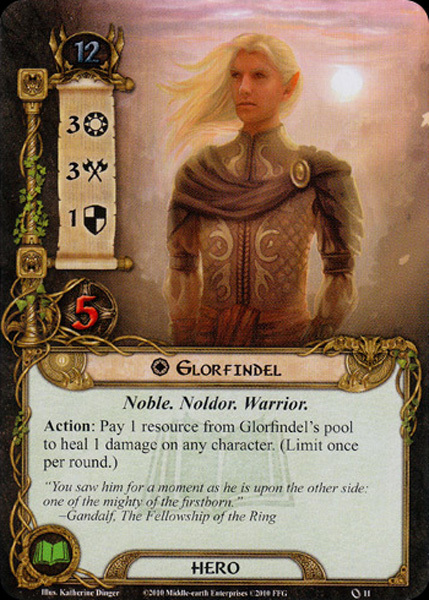 Glorfindel means (S 'golden haired', pron. [ɡlorˈfindel]). It is the Sindarin calque of Laurefindil (Q: 'golden head of hair', pron. N [ˌlaʊreˈfindil], V [ˌlaʊreˈɸindil]), which is made up of two components; laure means 'golden color' and findil or findilë means 'head of hair'. As Tolkien's legendarium was an evolving work that he constantly updated and revised, there will always be some question of 'final intent'. Some may note that the above-quoted essays were private and not ever published, and thus should not be taken as decisive. Nevertheless the editors of the Tolkien Gateway believe that these essays, combined with Tolkien's published novels, clearly establish that Glorfindel of Gondolin and Glorfindel of Rivendell were the same person. The narrative doesn't mention Glorfindel's ancestry or parentage, and it is not known whether Tolkien wrote about the subject. 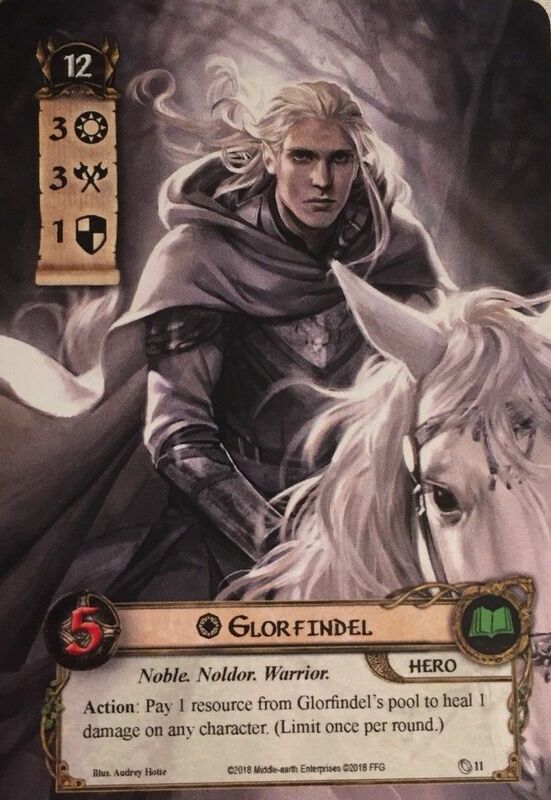 Considering his apparent nobility, and his name Glorfindel ('Golden-haired') he could be a heritage of a possible Vanyarin intermarriage, as is the case of Finarfin, Finrod, Galadriel and Idril. Robert Foster suggests that he might belong to the House of Finarfin (although Turgon was of the House of Fingolfin). 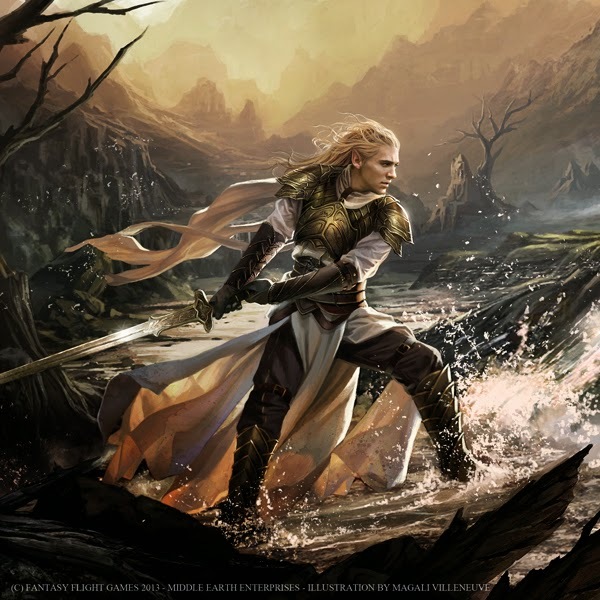 In a hasty note about the Council of Elrond Tolkien suggested that Glorfindel could tell of his ancestry in Gondolin, but this idea was abandoned.